Captured Wild Horses Made Me Realize, How Fragile is Freedom. what is the first thought that comes to your mind.? For me, it were all of these words. But the reality looked very different and lead me on a path that made me realize. how precious freedom can be despite all the downsides. After visiting of wild living horses in the mountains of Bosnia. I want chose and dedicate my life to document the life of other populations around the world. In 2017 my second project lead me to "Namibia" and I learned about how much willpower horses truly process, even if they are one breath away from death. 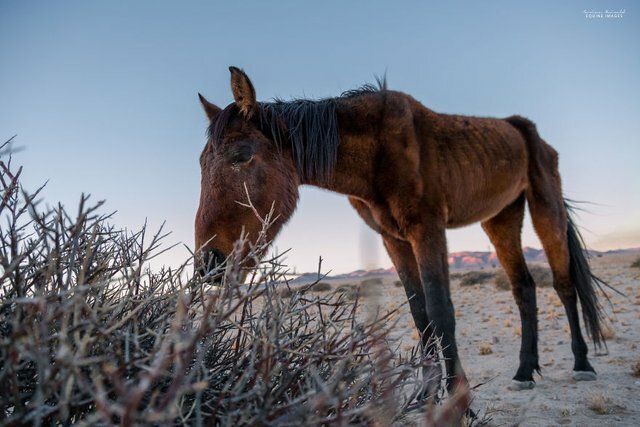 Surviving in the oldest desert of the world the horses now face new enemies ( tourism) and climate change. They crossed the desert throughout the day to find something to eat anything. But nothing had grown within years. They tried to nourish from dry thorn bushes or other horses’ dropping to just get one bite of food. Their bones weak enough and I could not believe that some of those were still alive, still walking around the dusty sand. . 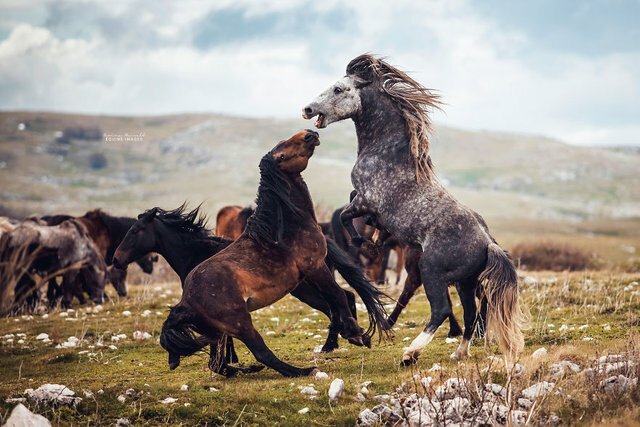 Diving into this topic: I realized that wild horses around the world, face similar problems and that sometimes they can be seen as a mirror to today’s society and environmental problems. I decided to find and visit these wild living horses make a symbols of freedom. A few months ago, I visited the "Netherlands" to find wild Konik (horses) and witnessed what happens when humans try to interfere nature’s fragile balance. What started as a good thought by the government to bring back wildlife in the area of Amsterdam ended as a tragic fight for survival for so, many different kind of animals,Horses among them. It was heartbreaking to see all these animals that I associated with strength and beauty being left on their own until they transformed into slight shadows of what they once must have looked like. No matter how many thin and starving horses. I saw, there was one thing, I could not spot anywhere: Resignation. They kept going, day after day and night after night, not bending towards their final end. What is that keeps them going no matter the circumstances.? Is it love for their family.? Is it instinct? Stubbornness?. A heart full of love for life? 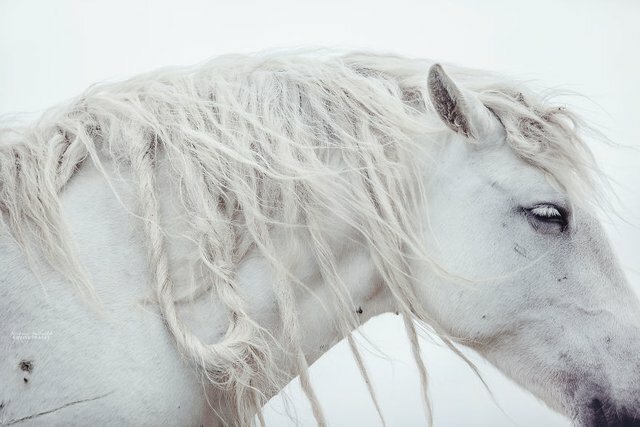 This is where the mystery lies, the true power of horses ,their true magic. This is why we love them, why girls around the world adoring these creatures: They are a symbol of undeniable hope. Horses are strong and independent animals that will always try to find a way to survive any circumstances. The nature provides them with: Snowstorms? No problem. Desert? No problem. Steppe, beach, forests – name it all, no problem. But there is one big enemy they simply can’t fight against" humans." For centuries, Horses were walking side by side with men. For hundreds of years ago they helped us to discover new places, conquer lands, expanding the human race, being loyal partners both in war and peace. The world would not look like it does today if it weren’t for horses. If we can’t make sure that one of our greatest ally survives in this world, how will we ever make sure to safe ourselves. I hope that through my photos people do not want to look away anymore. The artistic composition and emotional light draws attention and catch their eyes. 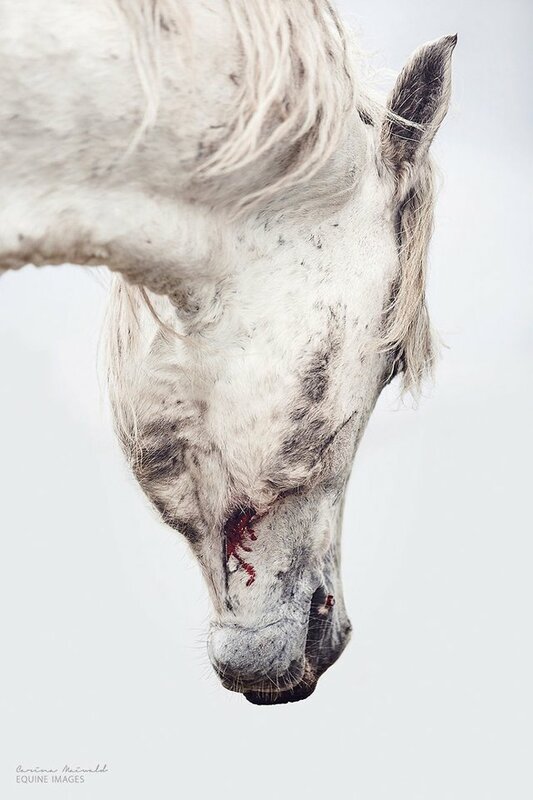 Maybe they will get them to pause for a moment and discover the image with every detail, to fall in love with the freedom in the eyes of horses. Only if we are open to see, we are open to take action on change.